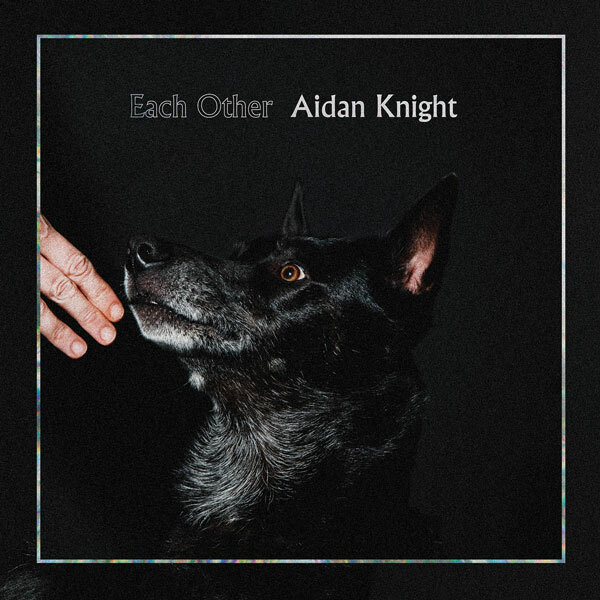 With albums singles “All Clear” and “The Arp” already receiving critical acclaim and international airplay, Victoria’s Aidan Knight is ready to unveil the details behind his upcoming album, Each Other, officially set for release on January 22 via Outside Music. The album was recorded at the Bathouse Studio, just outside of Kingston and home to Millhaven Maximum Security Prison, where the band sequestered themselves in the studio for over two weeks with producer Marcus Paquin (The National, Local Natives, Stars). Together with Paquin they were meticulous with each song, piecing together the raw energy of the live show along with the layered textures that could only be captured in the studio. An exhaustive process to say the least which Knight reflects on in saying, “Marcus, guided an unruly collection of ideas and a sometimes impulsive person (me) with remarkable patience (Marcus is also a new father).” Each Other was mixed over a very cold winter by Mathieu Parisian (Patrick Watson, Karkwa), a man familiar with intricately elaborate recordings. The LP’s tracklisting and artwork can be found below. To call Knight’s recent stop in Europe with Dan Mangan + Blacksmith, and full-band headlining tour dates, a success is a bit of an understatement. Popular BBC hosts Lauren Laverne and Annie Mac both featured Knight’s music on their shows prior a sold out performance in London and both The Arp and All Clear are getting plays across 6Music, Radio 1 and Radio 2. And while Noisey UK premiered the Ft. Langley produced ‘Wes Anderson meets The Sims’ video for album single “All Clear”, it has also been listed as one of the covetableVimeo Staff Picks. Knight plans to return to Europe early next year and upcoming Canadian tour dates will be announced shortly. “All Clear” ably demonstrates Knight’s evolving musical depth, highlighting both the band's sonic exploration and Aidan's ability with a subtle melody, while the emotional weight running throughout the record should satisfy the most discerning listener and bring Knight's work to a newfound prominence.